An award winning snowmobile trip only hours from Toronto! 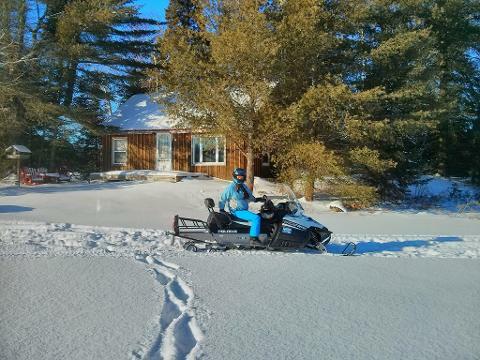 This exciting snowmobile "loop" trip takes us from Kennesis Lake, in Haliburton, across to Bancroft, up to Barry's Bay and, finally, down through Algonquin Park and back to where we started. 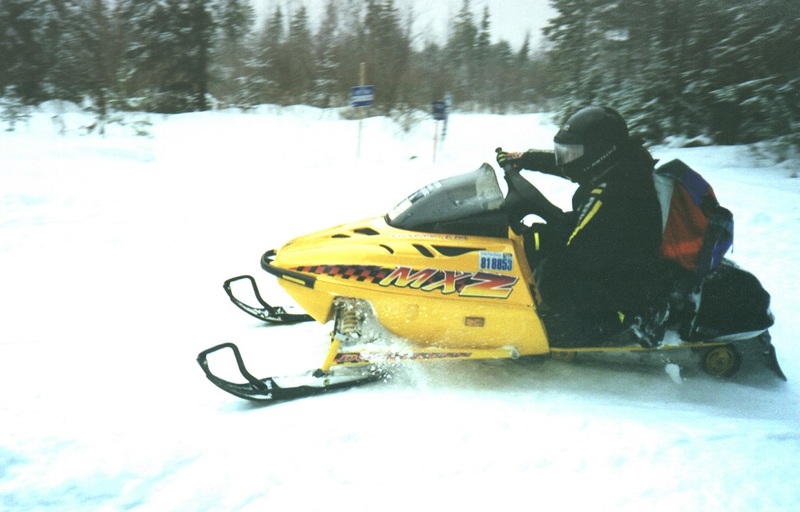 Along the way you will be snowmobiling along some of the finest, least crowded snowmobile trails in the world! Visitors from the US have marvelled at how nice these snowmobile trails are. You will be snowmobiling through winding forest trails, zooming over lakes, and seeing some of the best wilderness Ontario has to offer. We leave Toronto at 7:00 am and drive up to the beautiful Haliburton Highlands. This is the heart of Ontario’s unspoiled “cottage country” so you will be treated to some gorgeous scenery. From the Haliburton Highlands we will start our snowmobile safari into the wild! After suiting up with proper winter clothing, packing our saddle bags (we carry our gear on our snowmobiles), and a safety lesson on snowmobiles, we will venture forth. Our first day is an easy ride, to let everyone get accustomed to controlling their powerful snowmobiles. We will travel about 120 km to our first stop – Spectacle Lake Lodge in the Barry’s Bay area. There is a hot tub here, so be sure to bring your bathing suits! The trail takes us through the only portion of Algonquin Park where snowmobiles are allowed. Since Algonquin Park is world famous as a “Wilderness Park”, we have an excellent chance of seeing such wild animals as moose, deer, beaver, or even wolves! We will definitely be passing by several beaver dams (now frozen over), so keep your cameras within easy reach! After a hearty breakfast we start up our snowmobiles and head south towards Harcourt. Our destination is the Algonquin Eco-Lodge, just on the edge of Algonquin Park. It is about a 150 km ride, taking 5-6 hours to complete. 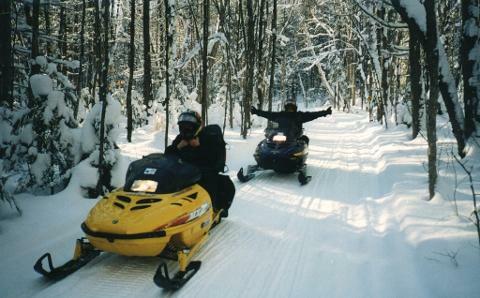 Along the way we will be following twisty forest trails – this is snowmobiling at it’s best! We will be passing beautiful lakes and small country villages, one of which we will stop at for a hot lunch. Again, after a good breakfast, we head out on our snowmobiles. Now we are heading west, back to Kennisis Lake. The trail is ever changing, so it is impossible to get bored! We will stop along the way for lunch, before ending our snowmobile safari mid afternoon. We should be back in Toronto by about 7 pm.